President's Counsel Ananda Wijesekera who had appeared in several important cases in Sri Lanka had completed fifty years at the Bar. President's Counsel Ananda Wijesekera who received his earlier education at Mahinda College and Richmond College, Galle entered the University of Ceylon in 1951 and joined the Sri Lanka Law College on September 23, 1959 was enrolled and admitted as an Advocate of the Supreme Court of Ceylon. President's Counsel Ananda Wijesekera had the golden opportunity of working in the Chambers of former Chief Justice Nevile Samarakoon QC, highly respected Judicial Officer. His interest in Criminal Law made President's Counsel Ananda Wijesekera work as a Junior of Sir Ukawatta Jayasundera QC, KCMG, Queen's Counsel K. C. Nadarajah, Queen's Counsel R. A. Kanangara. He also had worked with Queen's Counsel G.G.Ponnambalam, Queen's Counsel M. Thiruchelvam and Queen's Counsel A. H. C. de Silva. 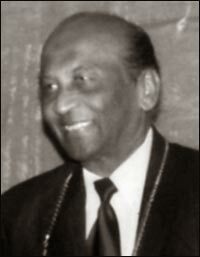 President's Counsel Ananda Wijesekera was elected President of the Students Council of the University in 1953. President's Counsel Ananda Wijesekera had distinguished himself as a senior successful criminal lawyer who had appeared for the defence in number of sensational cases including Thomas Cooke Robbery Case, one of the earliest Bank robberies in Sri Lanka, UNP Chairman Harsha Abeywardena Assassination case, Ralph Buultjens Abduction case and criminal defamation of former President Chandrika Bandaranaike Kumaratunga and he had defended in number of Bribery cases. Being satisfied with President's Counsels Ananda Wijesekera's loyalty, integrity and ability he was invited to apply for SILK and in 1993 he was appointed President's Counsel. President's Counsel Ananda Wijesekera is a life member of the Sri Lanka Bar Association (BASL) and served as a member of the Executive Committee. Chairman of the Disciplinary Committee and the Professional Purposes Committee and chaired the Criminal Law Sessions in 1998 and 2002. He was responsible for organizing the National Law Conference in 2003 which was a unique success. He had represented the Bar in the Original and Appellate Courts in number of sensitive cases concerning the rights of the independence of Judges and Lawyers. He had the support of a large and important cross section of senior and junior members of the Bar and elected as the President of the Bar Association of Sri Lanka (BASL) in 2003. In 2005, the University Grants Commission honoured him by inviting him to serve as a member of the Council of the University of Moratuwa in 2005-2008. Later he served another three-year period at the University of Moratuwa. President's Counsel Ananda Wijesekera's Chambers had produced a number of illustrious lawyers, men and women, who are now practising all over the country. They are being recognized by the senior and junior Judicial Officers of Sri Lanka.